ROTOR manufactures an axle-based power meter called the INpower. The ROTOR INpower 3D+ Crankset places its 4 strain gauges inside the axle. (Hence the name ‘INpower’). The INpower uses ROTOR’s 30 mm UBB (Universal Bottom Bracket) design which allows ROTOR to use the same power meter with both their road and MTB cranks. Another advantage to the axle-based design is that it means the critical components of the power meter are safe from impact, dirt and water. The INpower is available for MTB, road and triathlon/TT. 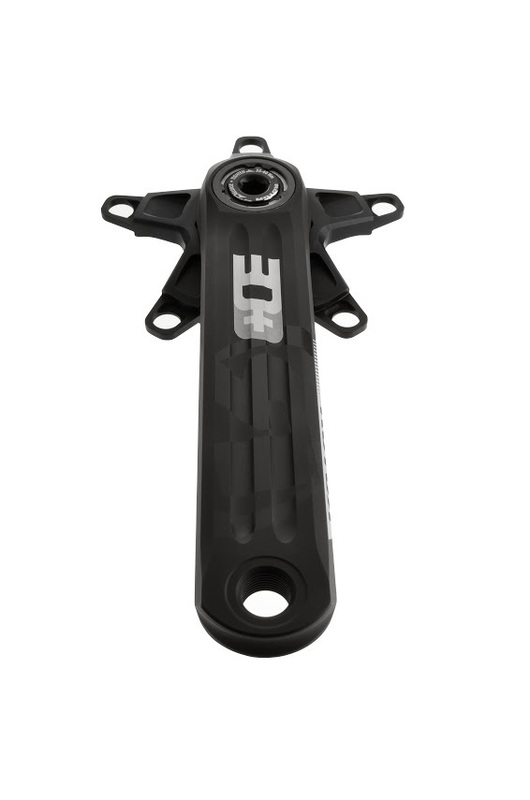 The INpower can be purchased as a complete crankset, or as a left arm only option. 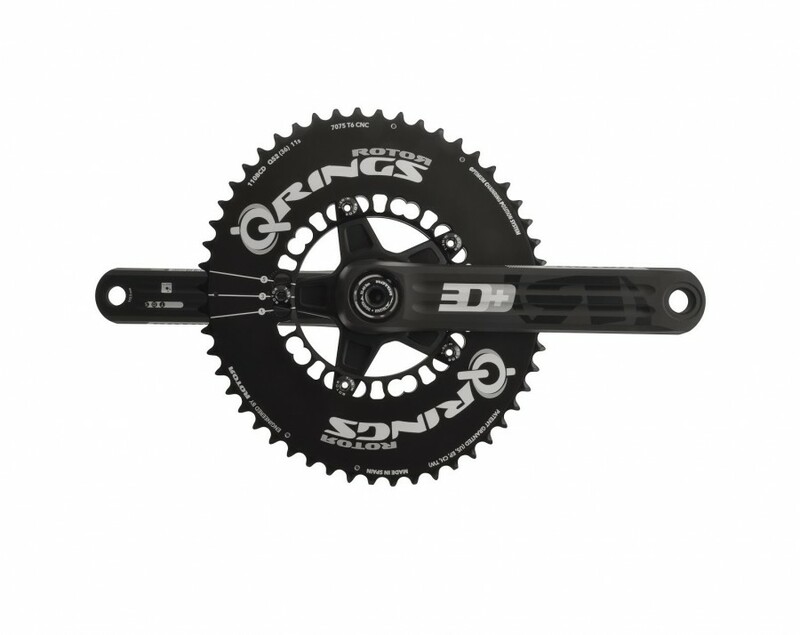 The latter option is convenient for cyclists who already own a current set of ROTOR cranks. They can therefore purchase a left arm only power meter, enabling them to simply swap out their current left arm for the new, power-equipped one. TORQUE 360 and OCA (Optimum Chainring Angle) help cyclists precisely and accurately analyze force variations in their pedal stroke. 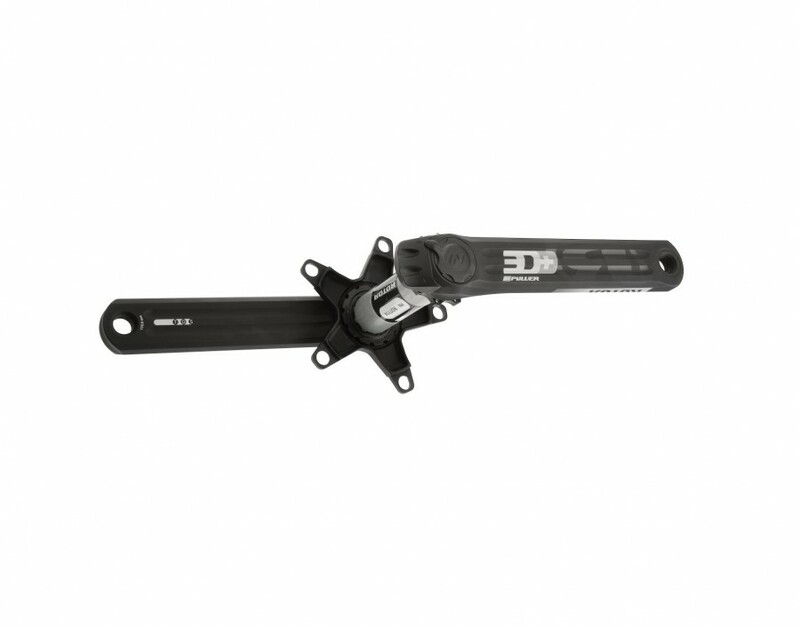 The ROTOR INpower 3D+ Crankset is equipped with the UBB30 axle. UBB30 is a 30 mm diameter axle which is compatible with almost all standard frames in the market (when used with the correct spacers). 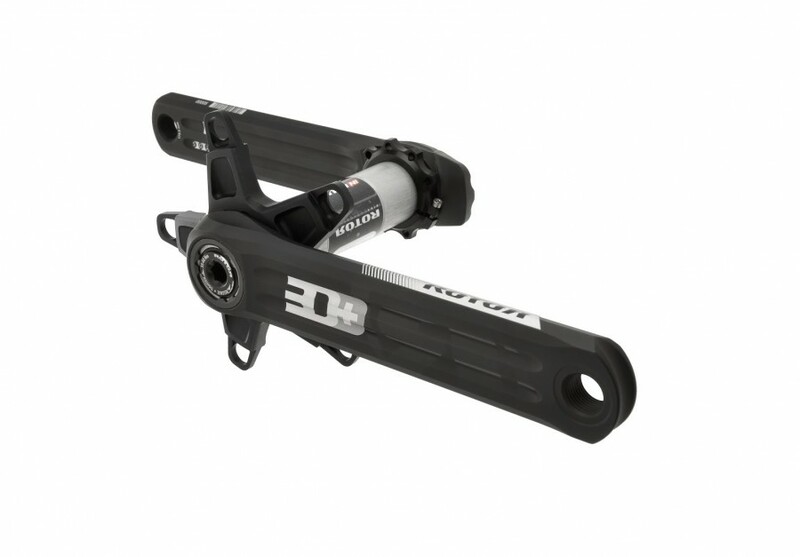 ROTOR INpower can be installed on your bike even if your current cranks are 24 mm diameter. I had my eye on this power meter for a while so I was anxious to get it. Power Meter City was very helpful. I used my 10% vip code to get it at 10% off. Shipping was free and quick so all good there. Thank you guys. Ok – so the power meter is great. It took a bit of work to get it installed but I made a few silly mistakes so blames on me. Once installed, it synced up to my bike computer fine and I was ready to go. I have been training on it for about a month now and no problems. It just seems super solid and durable. I like that the power meter portion (the electronics) are hidden inside the bottom bracket and are free from impact and are not exposed to the elements. I have used other power meters before so I have a good sense for what the power should be and this power meter seems accurate – no data drops or anything like that. I wish it had left and right power measurement however. But for $1K, it’s a super solid power meter. I’m happy. Samuel, thank you for the review and for your business. We are here if you need anything else! ROTOR for the win! Get it – you’ll love it. Even better if you mount a Q-Ring to it which is my next step. Marshall, short and sweet! Glad your like your ROTOR. We’re here if you need any help or have any questions.